This week in the garage- Apple CarPlay for Porsche 991 featuring Alpine iLX-107 wireless CarPlay receiver. 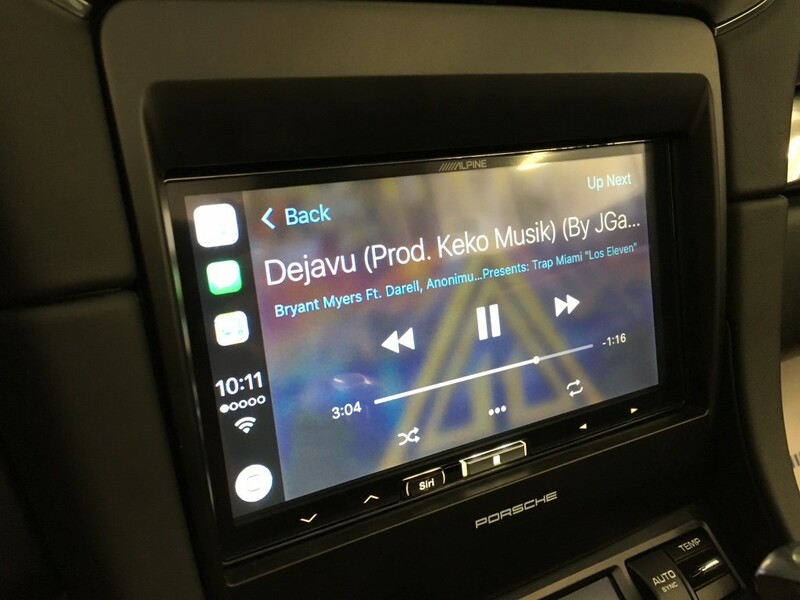 In the summer of 2016, a potential new customer contacted our shop in Brookfield, CT about aftermarket Apple CarPlay for Porsche 991. 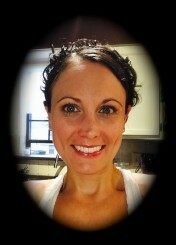 At the time, I had nothing but rumors and hearsay to go off of. According to my sources, there were no such products on the market or in development. It was on the radar of a couple manufacturers, but nothing had been planned for product development – they were still probably 6 months to a year away from releasing even a prototype. I kept notes about our conversation and periodically checked for updates with NAV-TV and iDatalink, two of the companies that had been rumored to be working on it. Earlier this summer I received a follow up call from the same customer so I put another call into NAV-TV for the latest update. I found out they were just weeks away from releasing an aftermarket radio interface for select 2012 – up Porsche 911, 991 and 2011-up Cayenne. After more than a year of waiting we finally had the right parts available to replace the stock stereo and retain the Bose M.O.S.T. fiber optic amplifier. When the NTV-KIT835 finally shipped we still had lots of unanswered questions about what factory features would be lost and what features would be retained. At the time, NAV-TV wasn’t sure if the reverse park assist sensors would remain since their test vehicles were not equipped with that feature. After installing the interface, we were happy to find out the audio was retained, however the park sensor visual display was lost. 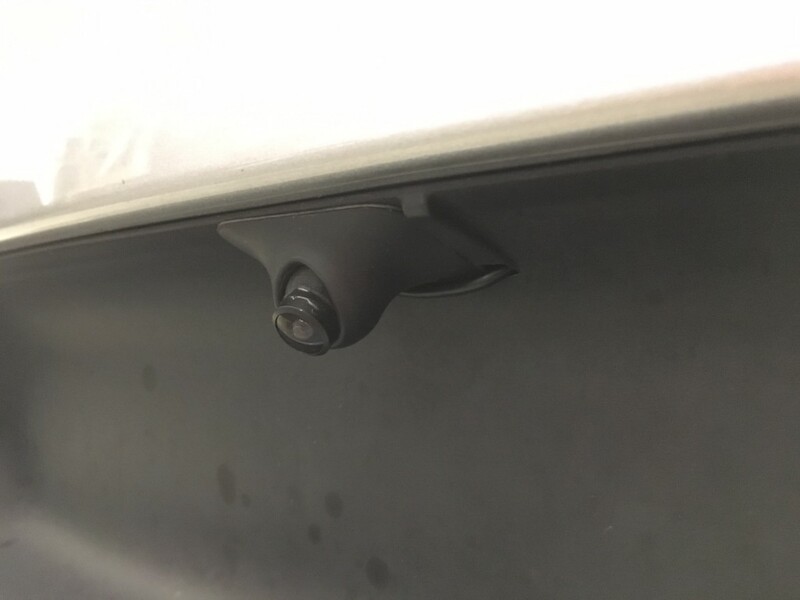 With the help of a vehicle wiring schematic, we were able to identify the OEM reverse camera wiring and retain the factory camera and dynamic park assist lines. The NTV-KIT835 is a bit more advanced than previous NAV-TV radio replacement interfaces. Like other NAV-TV interfaces, fader control directly from the aftermarket head unit is not available. However, it is available through a new special menu labeled “NAVTV HUR” accessible under the audio display in the instrument cluster along with input gain, bass and treble. Since the customer had long been awaiting installing an aftermarket Apple CarPlay receiver in his Porsche 991, he had already obtained the dash installation kit from Suncoast parts. At the moment, that is the only aftermarket radio installation kit available that I am aware of and it is a tight fit. For that reason, we recommend sticking with a non motorized touch screen or mechless style head unit for the best fit and cleanest look. 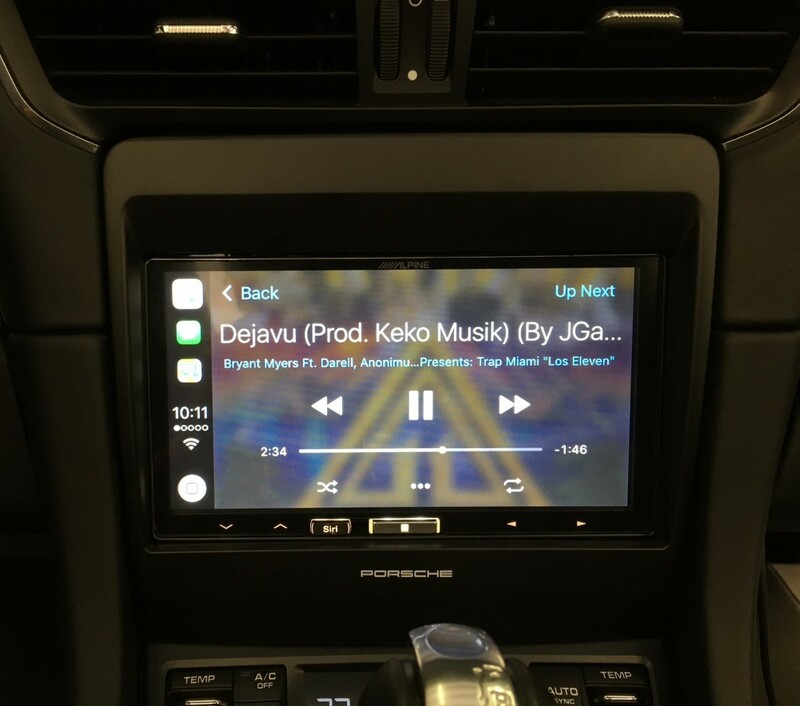 In this particular Porsche 991 we installed the Alpine iLX-107 which is a wireless CarPlay receiver. Unlike many other Alpine receivers, this model is made in Japan. When compared to other Alpine receivers, you can see and feel the difference in quality – both in the design and in the physical weight and construction. The Alpine iLX-107 has a very clean minimalist look and does exactly what it’s designed to do – aftermarket wireless Apple CarPlay. 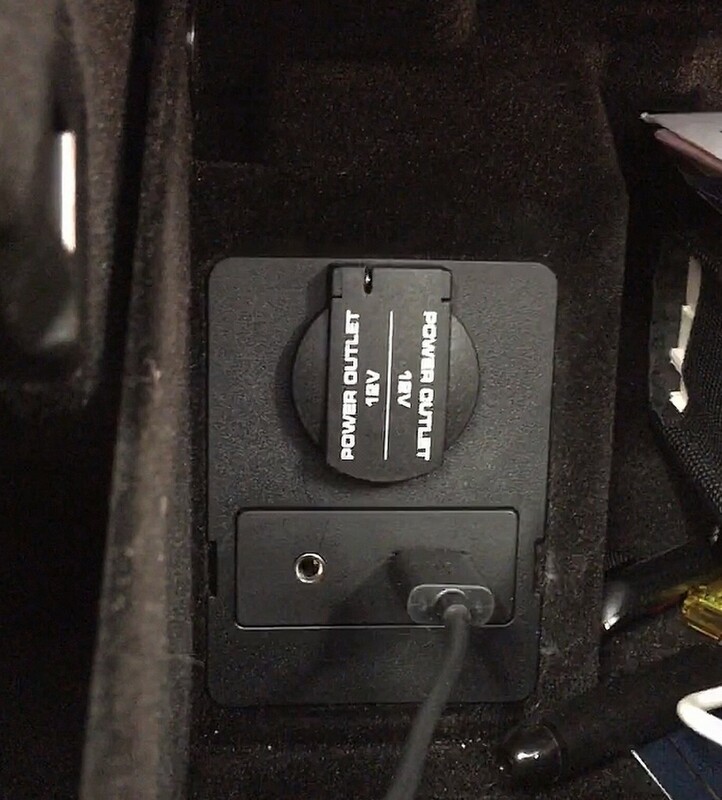 We routed the aftermarket Alpine USB input directly to the OEM USB location in the glove box for a clean factory appearance. In addition to adding Apple CarPlay to this Porsche 991, we added a discreet front camera. 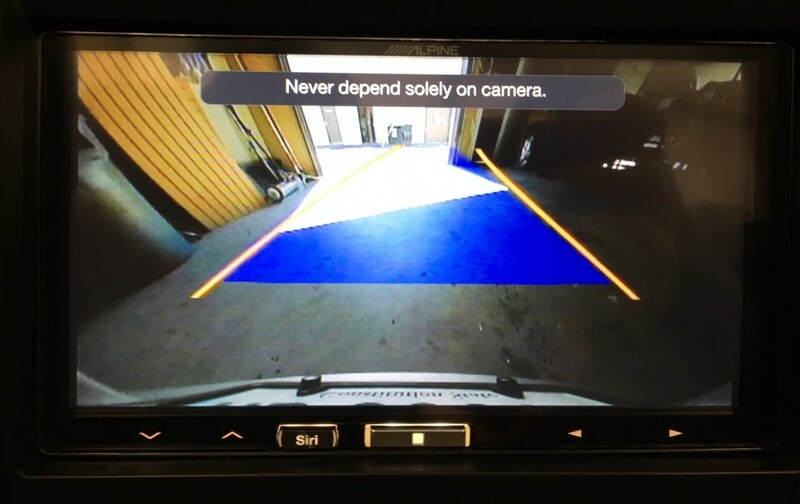 A front camera can help you avoid those annoying under bumper scrapes that occur too easily in vehicles with such minimal ground clearance. Although the iLX-107 does not have a dedicated front camera input, it does have an A/V input. This feature is viewed by simply selecting the A/V input on the home screen. However, if you’re an Apple fan, you’ll love the convenience of wireless Apple CarPlay and the clean, yet functional, minimalist appearance. If you’re near Brookfield, CT and want Apple CarPlay for your Porsche 991, 911 or Cayenne, contact Sounds Incredible Mobile today for more details. Live outside of the CT or NY area? Contact NAV-TV to find a dealer near you and enjoy the benefits of an aftermarket Apple CarPlay receiver in your Porsche. I was wondering if you have done any installs in a 991.1 with the Burmester (rather than Bose) system? No Ben, we have not, sorry. I have a 2016 Cayman and right now I have the OEM PCM 3.1 head unit but I’ve installed aftermarket amps and speakers. I’d like to replace the PCM not only for Apple Car Play but also because my PCM resets constantly and Porsche has not been able to fix it. When you replaced the PCM in this car, did it retain the factory bluetooth mic and USB jack in the glove box as well as the parking sensors and camera? Hi Billy – we put the USB in the same location but it was replacing the stock one. Microphone is different but most mic’s are small and discreet. Audible tones from sensors were retained. 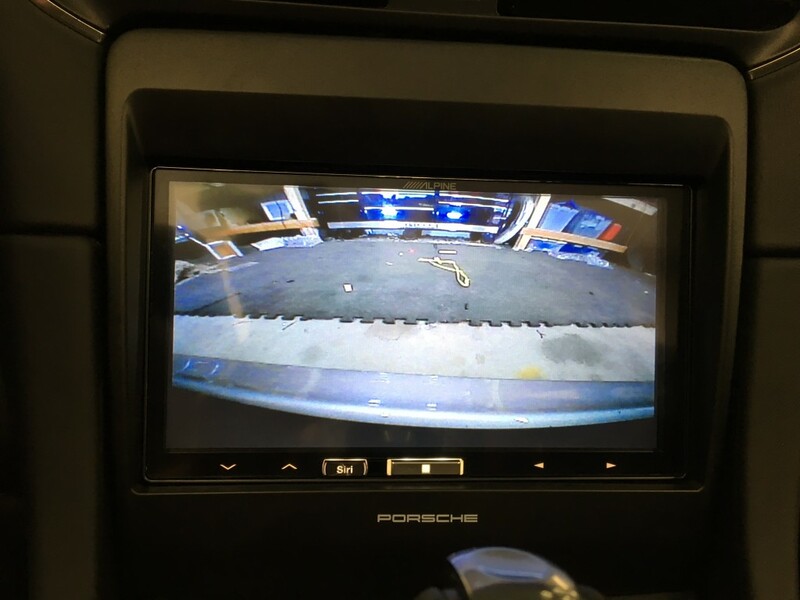 We were able to retain the reverse camera and park guidance lines. I just bought the same setup NAVTV HUR & Alpine ixl 107 & had Car Toys install it, but they had trouble finding the “special menu”. They contacted the makers of NAVTV for troubleshooting, no luck. You mentioned that special menu, do you have any idea why they couldn’t find it? Hi Carlos, there’s a couple possible reasons why they weren’t able to pull that up. Have you done any type of ECU flash to your vehicle for performance? I have found anytime I have to install equipment that talks to the CAN bus system (typically this happens in European cars, I’ve had this issue in a couple VW’s) in vehicles that have had any type of mod like this, they don’t work right or they don’t work at all. These products are designed to communicate to an OEM computer system/audio system via CAN communication lines and if you’ve had any type of performance flash installed, the vehicle is no longer “stock” and the product won’t always communicate properly or communicate at all if it’s been altered. Essentially the data has been changed in the car so you might have to put it back to stock in order to access that info and have the module communicate properly. Other possible causes could be where they grabbed the CAN lines. Sometimes you have to get them before or after certain OEM modules. In the one we did, I spent a lot of time figuring out how to tie in the dynamic park assist lines from the factory camera because NAV TV said their part would only retain the camera, not the lines. So we ended up grabbing those CAN lines elsewhere in the vehicle in order to retain the OEM park guidance lines. Perhaps Car Toys can try that. Sometimes we run into that when installing remote car starters in vehicles that have to tie into CAN. Sometimes it’s a matter of just connecting before or after another component in the car and sometimes it’s just that you’ve grabbed the wrong set of CAN lines. I hope that’s helpful! Wow! You nailed it. I did flashed the ECU for performance. So, if I flash the ECU, install NAVTV HUR, configure it and then I can flash the ECU again for performance or I will never be able to flash it if I want to use the NAVTV HUR? Hi Carlos – glad I helped you figure that out. Well, since the unit is sort of working, just not allowing the more advanced options, I would try re-flashing the ECU to stock. Re-install/initialize the NAV TV interface so you can access the special menu to set the stock amp gain level/audio settings and once you have the NAV TV settings where you’re happy with it, try re-flashing the ECU back for the performance upgrade. In the car we did, we bumped up the amp gain and made some adjustments for the best sound quality so it’s totally worth trying from a sound quality perspective. Hopefully it saves those settings, but if not, I unfortunately don’t have a known work around. Other than bringing your car to NAV TV in Florida where they can read/see what that ECU flash is changing. They probably don’t have a way to write custom firmware, but I don’t know, you could check with them, maybe they do. I ran into a similar issue once with a remote car starter with a Prius and an iDatalink ADSALCA (CAN bus module for remote starters – similar concept). Turned out the particular Prius we had been working on was purchased used from a Lexus dealer and somehow the dealer had encrypted Lexus software onto their key. iDatalink was able to remotely login to our computer and read what was going on specifically just for the transponder in the key and they were able to write custom software for us for that unique situation. I don’t know if NAV TV has any sort of method of doing that for this particular interface and vehicle, but just a thought.